“What I personally love is that this building visibly features steel, which is so often hidden from view. In fact, we believe that no other building of this size and scale has been designed specifically to feature steel throughout. Wilmotte & Associés have developed a truly innovative design that shows how beautiful steel is.” Aditya Mittal. ArcelorMittal and the “Fonds d’Urbanisation et d’Aménagement du Plateau de Kirchberg,” (“the Fonds Kirchberg”) have today announced that the architectural practice Wilmotte & Associés Architectes (“W&A”) is the winner of the architectural consultation to design ArcelorMittal’s new global headquarters building in Luxembourg. W&A was selected by a nine-person jury chaired by Aditya Mittal, CFO of ArcelorMittal and CEO of ArcelorMittal Europe, following a highly competitive process with designs proposed by many of the world’s leading architects. Other landmark buildings designed by W&A include the Ferrari sporting management centre in Maranello, Google’s UK headquarters in London, the LVMH corporate headquarters in Paris and the five-star Mandarin Oriental Hotel also in Paris. The W&A design also responds to ArcelorMittal’s desire to have a sustainable building that promotes steel’s contribution to the circulate economy. The building follows the “cradle-to-cradle” concept, meaning that it can be dismantled and nearly all the steel products re-used in a new building without the need for recycling. It is also a low-carbon, energy-efficient building, and will be “BREEAM outstanding,” “DGNB Gold,” and “BBCA” certified. Environmental credentials including solar power generation – featuring 4000 square metres of ArcelorMittal steel photovoltaic cells on the roof – rainwater management and automatic window opening for natural ventilation. It also features a bioclimatic public atrium, ventilated by the Canadian Well system, which naturally cools the air in summer and heats it in winter. The atrium is designed to evoke the Luxembourg countryside and will feature trees and plants in a woodland style that also bring environmental benefits, acting as a buffer for the temperature. Further green space will be created by setting the building back from the limit of the plot, creating new outdoor public spaces. The building will also be certified by a Gold level “WELL” label. Michel Wurth, President of ArcelorMittal Luxembourg, added: “As a Luxemburger, I’m proud and excited that such a forward-thinking design will be built here largely with steel made in Luxembourg. Our steel features in so many iconic buildings around the world, it’s great to have an opportunity to create another one here in our home country. I believe W&A’s design fully captures the atmosphere of tomorrow which is appropriate for ArcelorMittal as a company on the cutting edge of its industry and will also provide a great place for our employees to work. It will be a new addition to the Kirchberg plateau and of course, we will work closely work with the municipality of Luxembourg during the planning phase to fully integrate this new building into the already iconic urban landscape and skyline. The consultation was initiated in February 2017 following ArcelorMittal’s decision in April 2016 to build a new head office in Luxembourg. 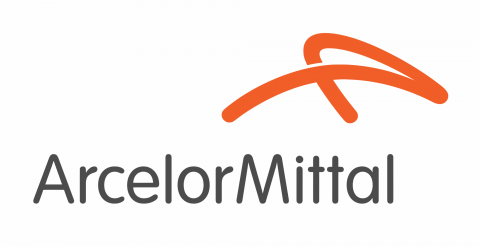 ArcelorMittal is the principal industrial employer of the Grand Duchy with over 4,000 employees. The construction of a new, landmark headquarters building illustrates the Group’s commitment to maintaining its presence in the country, where the company has not only its head offices but also seven industrial sites producing or processing steel and developing steel solutions for the construction, automotive, general industry and agriculture sectors of the economy. In the first phase, eight internationally renowned practices were invited to submit initial designs on April 27 and 28. Bernard Tschumi Architects, Foster + Partners, JSWD Architekten, Massimiliano Fuksas Architecture, Rafael Vinoly Architects, Rem Koolhaas OMA, Von Gerkan, Marg and Partners and Wilmotte & Associés were the architects included. In the second phase, three shortlisted practices – Foster + Partners, Rem Koolhaas OMA, and Wilmotte & Associés – were asked to develop a more advanced architectural design. These were then submitted to the jury which evaluated the proposals and then recommended Wilmotte & Associés to ArcelorMittal and to the Board of Fonds Kirchberg as the selected winner. Groundbreaking is expected during the summer of 2019 with completion in the last quarter of 2021.